Awwww…Paul Zindel! 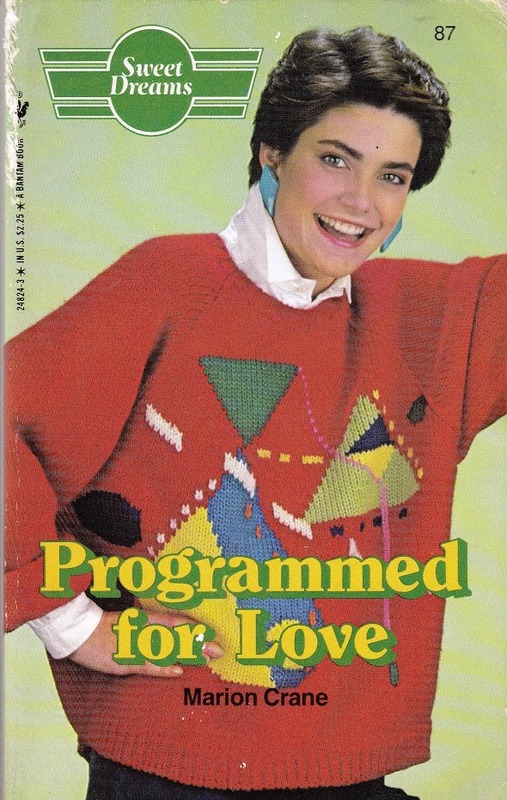 I loved his books when I was a sappy, shallow, hormonal teenager in the mid-1980s. 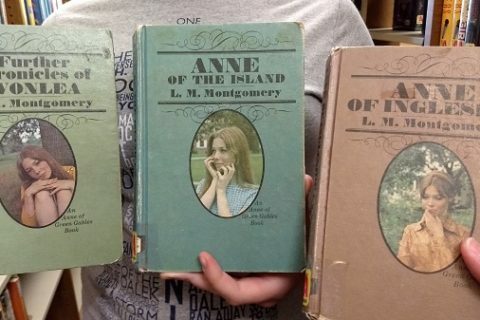 Mary and I always say that if the books in the teen or youth collection are older than the audience they are intended for, they’re always worth a second look and often worth weeding. Paul Zindel is no exception. This poor girl in the Chewbacca coat (did teenagers ever wear fur??) 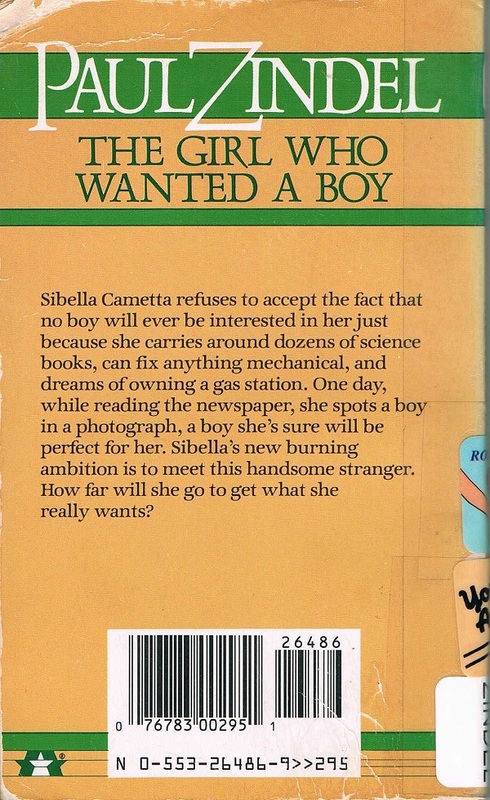 wants a boy so badly, but her “problem,” apparently, is that the James Dean boy from the cover won’t like her because she’s mechanically inclined and likes science. What she really should do is learn to play pinball and ditch the textbook. Yeah, that’s the ticket. This poor, deluded girl tries so hard to make a boy like her. She even gets caught in class reading “How to Pick Up Boys” instead of doing school work. I have teenage nieces (shout out to Haley and Heidi! ), and I am proud to say that they are smart, they like science, and they are not at all boy crazy. They are lovely girls, sappy hormones and all. Please, girls, NEVER READ THIS BOOK. Maybe she can use her mechanical know-how to teach Tall Dark and Generic there which end of the pinball machine to stand at. Although perhaps he’s just pouting because somebody replaced the handlebars on the Paperboy machine with a pair of giant ’80s microphones. I love Paul Zindel! In the mid to late 1990s my high school library hadn’t had much of a budget for about 10 years so the books in it were from the 1980s and earlier. Although most of his books were published before I was born, I knew I’d found a treasure when I discovered Paul Zindel. I thought the Pigman books were so deep and I loved The Undertaker’s Gone Bananas. I think if I could get updated covers I would seriously consider buying some again for my library. 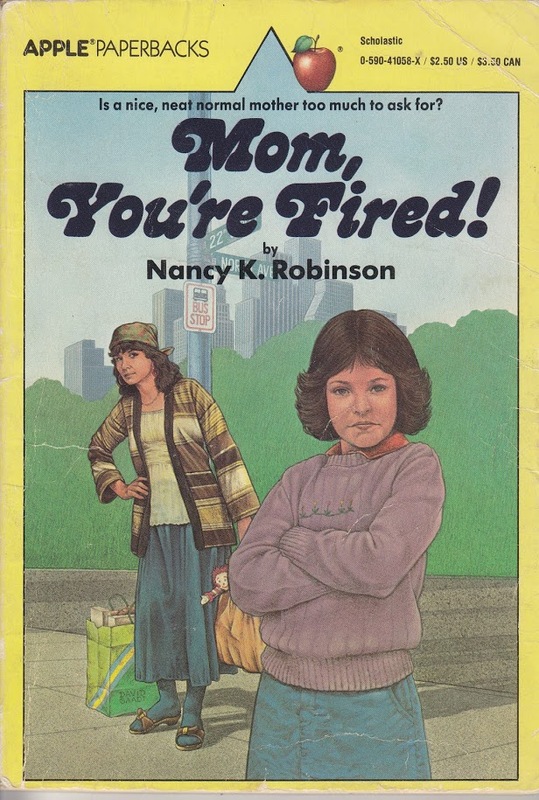 I don’t remember if I ever read this one. I don’t suppose there’s any chance that in the end, mini-James Dean liked her for who she was all along – sciency-stuff and all? No? Well, shoot. Eep. 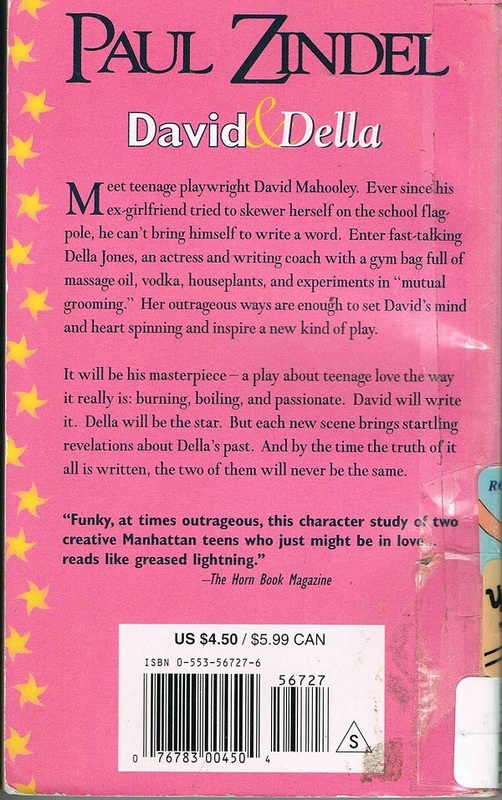 I just read a synopsis and excerpt, courtesy of http://www.sheilaomalley.com/?p=5131 …turns out her crush is *24* years old. Glad that didn’t happen. So, does she learn to like pinball? “…she carries around dozens of science books, can fix anything mechanical, and wants to own a gas station.” Because that’s what all the budding boy scientists want to do, right? I mean, not that there’s anything wrong with fixing stuff or gas stations, but if she’s carrying around dozens of science books she ALREADY KNOWS that she can do much, much more interesting work. Sigh. Even allies get it wrong sometimes. SHE may find doing repairs interesting! If she wants to own a gas station, I will assume the repairs revolve around autos. Did she try auto shop? Lots of boys there! 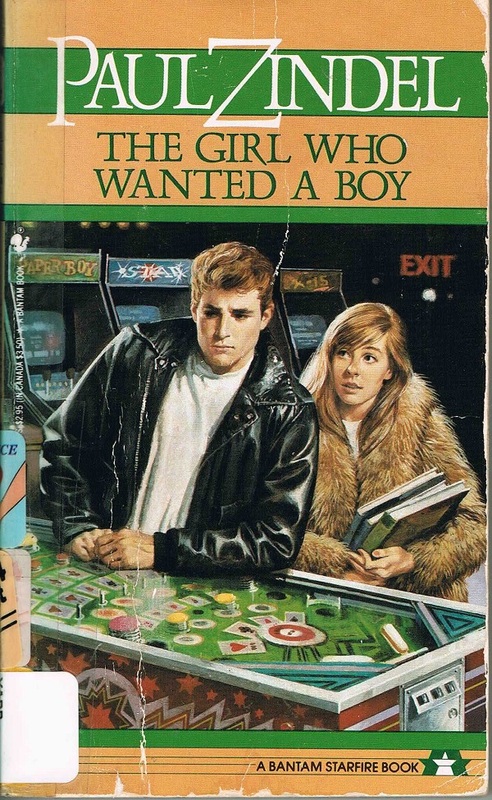 The leather jacket signals that he’s tough, but the look on his face reveals that he’s really just troubled and confused, and of course a candidate for reclamation and totally worth her time. And oy, that Paperboy machine – if you’re going to the trouble of drawing that, why not include the handlebars? 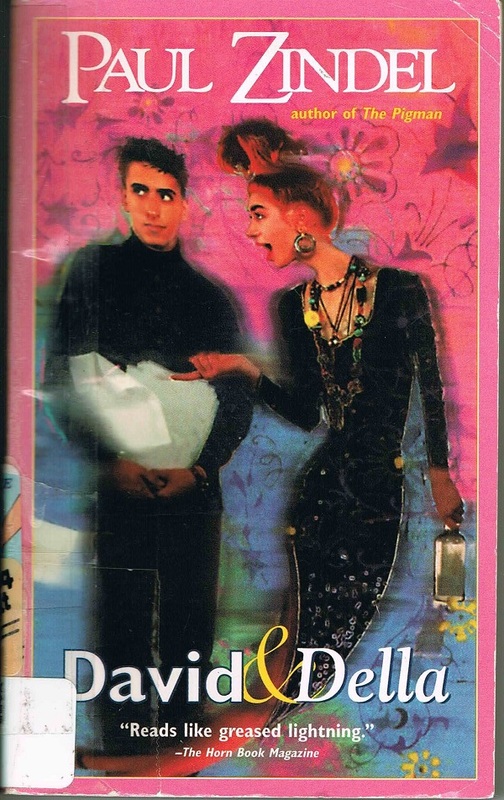 I loved Paul Zindel, but this was the worst of his books. As I recall, this girl pursues a total stranger because she likes the way he looks, uses all her money to buy him a van so he can go off and make a fresh start (up until then he has been underemployed and drinking too much), and then she nearly kills herself when he leaves. No, not Zindel’s best work. His other teen novels are light-years better. I had the same problem in middle school as the main character. I was 12, my crush was 14. But he was in my class because he flunked multiple subjects more than once. I was an English nerd/good girl/younger and thought he was way out of my league. I desperately wanted him to like me. I begged my mom to take me to get my ears pierced and chose the same style of earrings he had (huge cubic zirconia studs) because I thought it would impress him. It didn’t. When he failed to notice the earrings, it broke my heart. You’ll be excited to hear that huge furry parkas may be making a comeback! I’ve seen a couple of kids wearing pelts like this at the high school where I work. Take that, all you 80s mockers. Girls wore fur when I was in high school, but it was rabbit. Wait, wouldn’t he like it if she was all into science and mechanics? I mean, she could probably shred at pinball and teach him a thing or two to boot. But, yeah, I guess that’s all “not cute” or something. Grr. In 1981? I was in kindergarten( I guess actually that was ’79-’80), and got called to the principal’s office, had my parents called in and ( and pretty well called on the carpet) for my “gender confusion”( i.e. supposedly being a trans-person, except back then it was your parents’ fault and needed to be corrected with discipline and being forced into your biologically correct gender role “for your own good”) because I said I wanted a microscope and chemistry set for Christmas and didn’t have any interest in dolls. 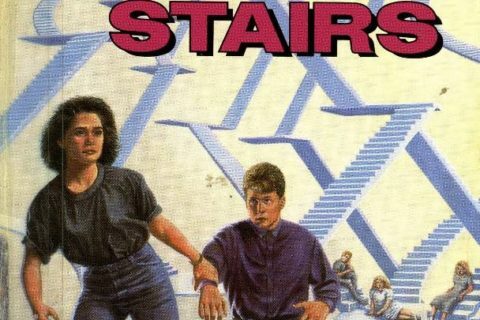 Granted, this was in a conservative predominantly Mormon community, but as twisted as this book was it actually was more progressive than I recall those times. Does anyone else think that the girl looks an awful lot like a young Alyson Hannigan?